TV를 껐네… (feat. t윤미래, 권정열 Of 10c..
Serenade (feat. 개코 Of Dynamic Duo, Windy..
죽기 전까지 날아야 하는 새 (To.Bizzy) (feat.강산에..
^ Billboard Korea Staff. Love Ballads Sweep Into the K-Pop Hot 100. Billboard. September 2, 2011 [September 7, 2011]. ^ "Leessang tops the Melon Charts with Turned off the TV", Allkpop, 3 October 2011. Retrieved 18 October 2011. 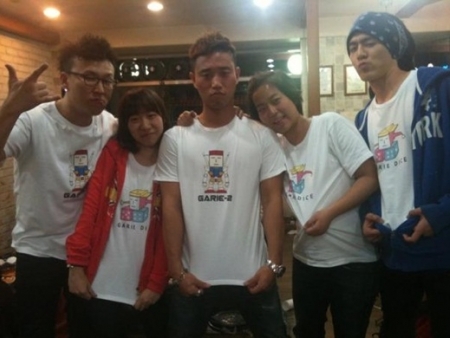 ^ "Leessang talks about their success with AsuRA BalBalTa", Allkpop, 27 August 2011. Retrieved 19 October 2011. ^ LeeSSang 橫掃音源榜一位. KPOPN 來源: KPOPN. 2013年1月26日 [2013-01-26] （Chinese (Taiwan)）. ^ Leessang「眼淚」 音源-MV 橫掃各大排行榜 顯驚人成績. Yahoo奇摩 名人娛樂 來源: STAR N. 2013年1月30日 [2013-01-30] （Chinese (Taiwan)）. ^ LeeSSang 新曲續奪榜冠. KPOPN 來源: KPOPN. 2013年1月31日 [2013-01-31] （Chinese (Taiwan)）. ^ Leessang「眼淚」，搶佔2月第一周各大音源排行榜1位. Yahoo奇摩 名人娛樂 來源: STAR N. 2013年2月6日 [2013-02-06] （Chinese (Taiwan)）.